Everybody has their own issues when it comes to their skin: perhaps it's too oily, or prone to breakouts, or dull or uneven in tone. My issue has always been that my skin is super dry. It started when I was in high school; my skin would be so dry and flaky that other kids would tease me, saying it looked like I had salt on my face. I know, kids can be cruel, and when you're that age all you care about is how you look - so it's hard feeling less than perfect. As I got older, the condition improved slightly thanks to my hormones re-balancing. But it's still a nuisance at the best of times, and embarrassing at the worst. I have dry skin all over my body, but my face is the one part of me that is seen all the time, so I decided to start there. 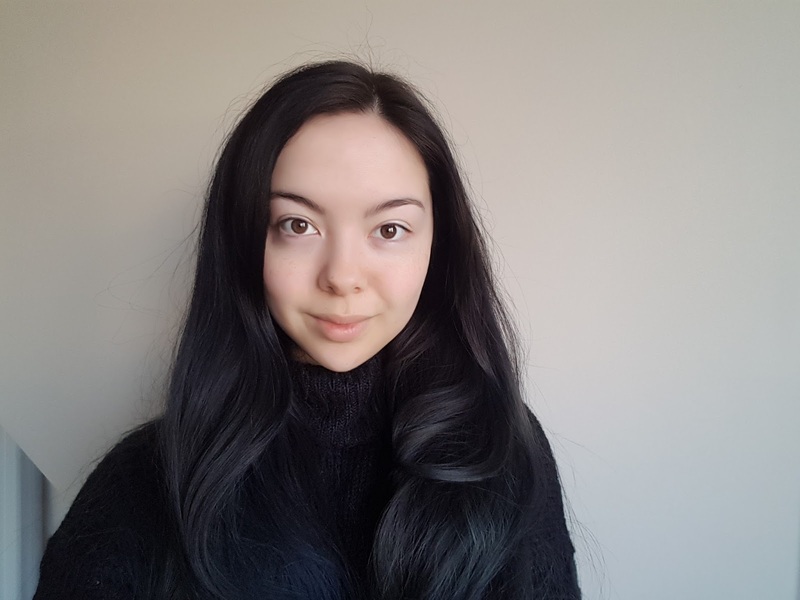 I was offered by Preen.me the opportunity to go for a Dermalogica Face Mapping skin analysis, something I'd heard of before but never experienced myself. 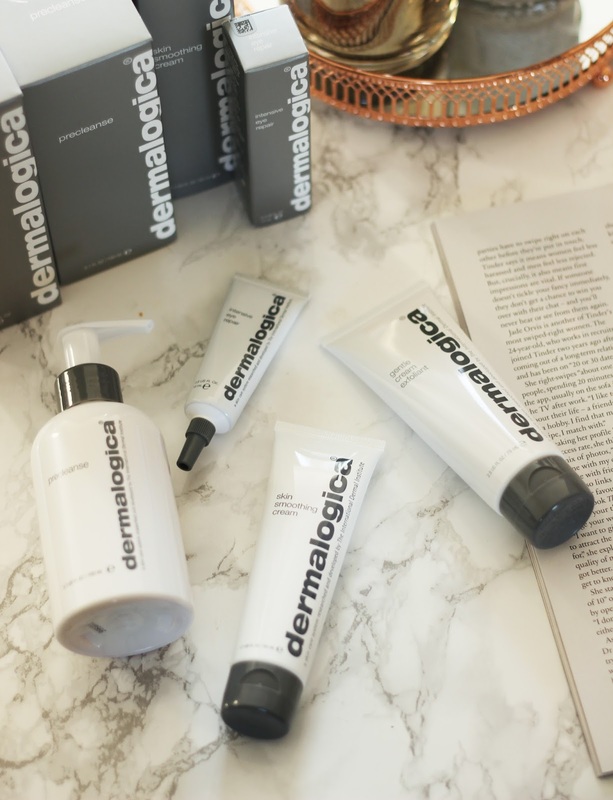 It's a service which allows a Dermalogica professional to analyse your skin, before providing you with a prescription advising you on which Dermalogica products to use where, in order to achieve optimum skin health. 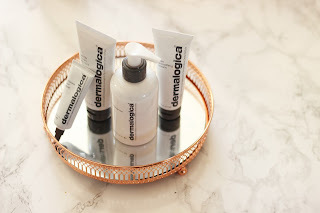 I went to my local Dermalogica salon, where I received a Face Mapping service, along with a relaxing facial so that I could get the full benefit of the products. First off, I was given a detailed questionnaire to fill out, which asked me about my skincare concerns, whether I had any recent microdermabrasion or IPL treatments, and whether I was on or due for my period, etc. After that, I was taken to a cosy, warm room and laid down on a massage table under some covers, just as I would with any regular spa facial treatment. The treatment began with a cleanse to remove any traces of makeup or other residue on the skin; this was followed by a skin moisture analysis carried out with a handheld device which, when pressed lightly on my skin, revealed the level of hydration. We discovered that my forehead was far drier than any other area of my face, with my cheeks next and my neck last. My therapist then moved onto the Face Mapping segment of the treatment, which she carried out with a magnifying glass and lamp, as well as using touch to determine the texture of my skin. She told me that the face is sectioned into 14 different areas: 1 and 3 comprise the forehead, 2 is the space between the eyes, 4 and 5 are the right ear and cheek, and so on. Each section can be completely different from the last. For example, I had blocked pores in section 7 (my nose) but clear skin in sections 5 and 9 (cheeks). Overall, my skin was in quite good condition - no signs of wrinkles here! - but I was in need of some brightening skincare to help my acne scarring and also some hydrating products to inject some moisture. My therapist also recommended some eye treatments as a preventative measure, as you can never start the anti-ageing process too early! 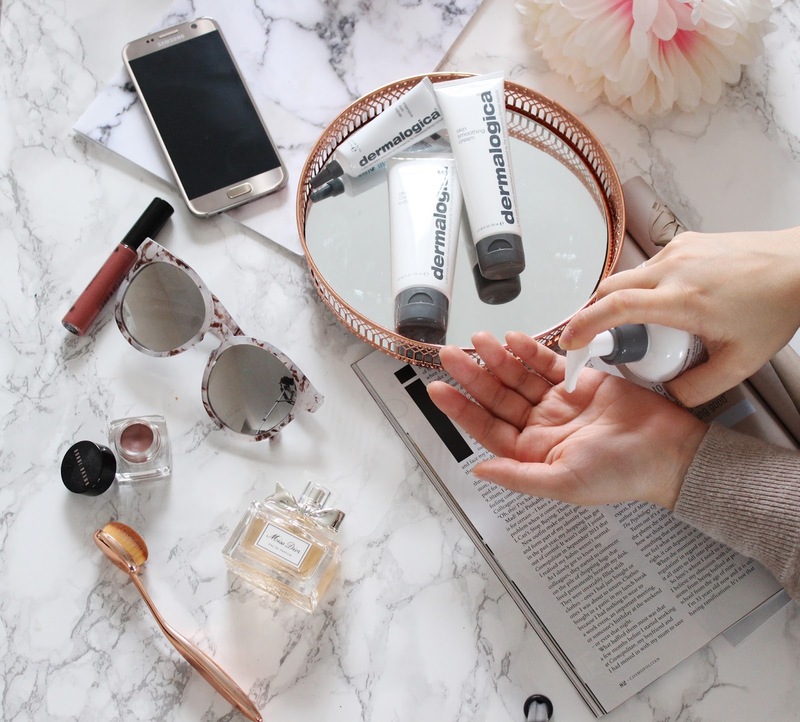 I would recommend to anyone receiving a Face Mapping service to also book a facial afterwards, as your therapist will tell you how and where to apply your recommended Dermalogica products. Plus, facials are always the perfect way to de-stress. 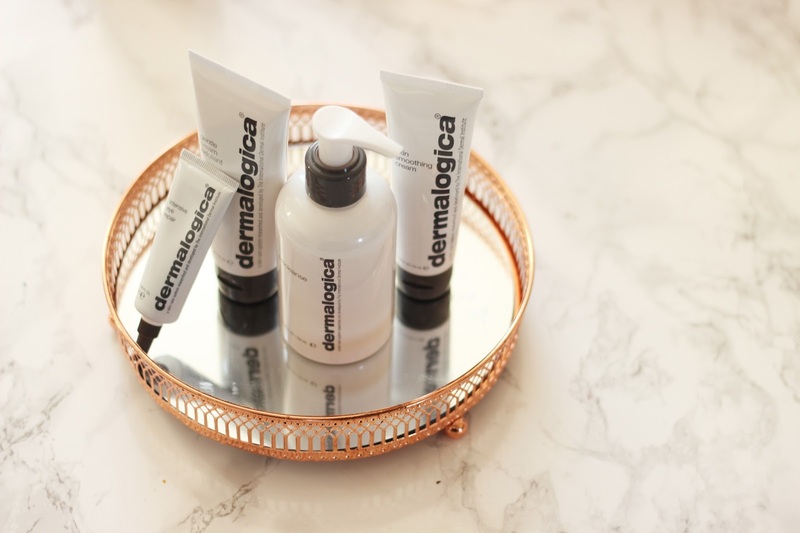 After my facial, I was given my Dermalogica prescription, which told me what products were best suited to my skin, which sections to apply the products to, and when to do so (AM or PM). This was super useful, and I still refer to it now when I'm going through my skincare routine. I've been using these products for around a week now, and I can see that they've made a visible difference even in this short amount of time. I use the skin smoothing cream and intensive eye repair in the morning, then all four products at night - and when I wake up in the morning, my skin feels smooth, hydrated, cleaner and brighter. I'm more confident when it comes to going out without makeup, and I love the ritual of applying products that I know are getting to work as soon as they touch my skin. One of the best things about these products is that they smell amazing. Not that sickly, perfumed smell that you get with some other products, but a natural, gentle scent that wakes you up in the morning and soothes you in the evening. Also, Dermalogica are cruelty-free! All of their products are made in Southern California without the use of animal testing, and are not sold in China (where animal testing is compulsory for cosmetics). This was a very important requirement for me, as a vegetarian - so I'm pleased to say that my skin care routine is completely cruelty-free!